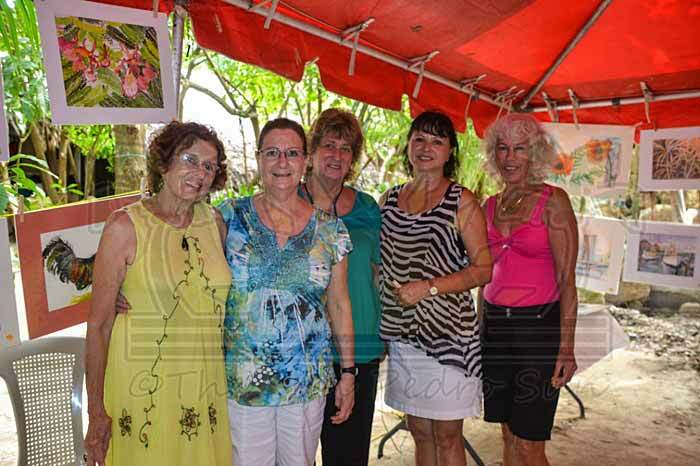 A small group of island women get together weekly to paint and enjoy each other company. Once a year usually in December or January, the art group puts on an Island art and craft sale to raise money that gets used to help women in need. This year the Island art and craft sale is Saturday Jan 11th and Sunday 12th at Xanadu resort. So stop by and shop, not only will you get super cool art work, you will also be helping a great cause. 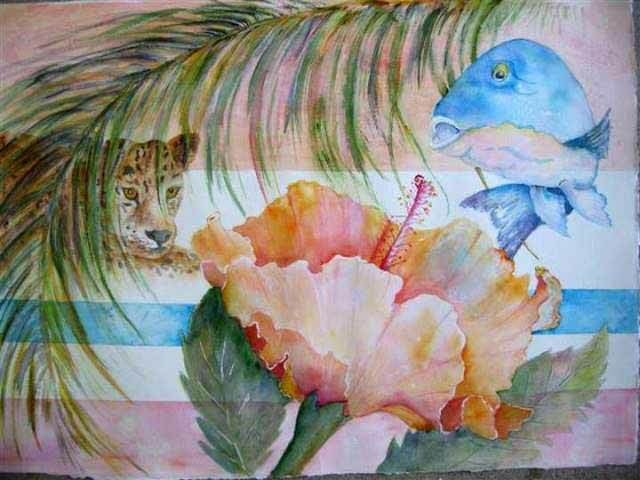 Held this weekend (January 11 & 12) at Xanadu Resort from noon till 5PM, this annual art show is hosted by a group of women artisans who donate the proceeds from the arts sales to women in need on the island. From beautiful water colors, to glass jewelry, hand painted cushion covers, greeting cards and more, the selection is gorgeous. You can even buy raffle tickets to win darling oversized dolls hand knitted by Judy Sheinbaum. So don’t miss out this weekend on the opportunity to purchase lovely artwork while supporting a community program. The Art show for Women in need at Xanadu Resort was well worth stopping by, they had so much amazing art work and crafts. I feel in love with Mr Yum Yum and bought some raffle tickets to try and win him for Tinker. The drawings are today and the sale is on till 5:00pm so you still have time to stop and shop for a great cause. They even have delicious beverages to enjoy wile you are shopping. After the art show we did the Bird Sanctuary walk, Leisa who does not care for heights either managed ok and I had forgotten how much fun it is to go through the big Banyan Tree at the end. I do it again soon and take pictures, this time I just wanted to focus on all the beautiful art on the pictures below. So much great art. 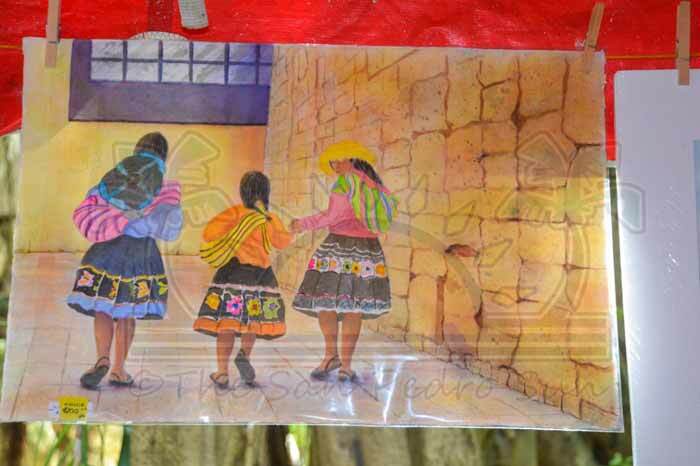 Last weekend on January 11th and 12th The San Pedro Art Group hosted their annual “Women in Need” art show to benefit the community. For the last six years the event has been held at different venues, ranging from the Sunbreeze Hotel, Sunset Grill and Tropic Air Guest Lobby, with the last two years being held at Xanadu Resort. This year the group of very talented (and generous) women artists included Rose Escalante, Judy Sheinbaum, Donna Richmond, Carolyn Price, Violet Henderson, Susan Lala and Samantha Alcuin. Art aficionados were treated an array of beautiful water colors, glass jewelry, hand painted cushion covers, greeting cards and more. Proceeds from the art sale will go to women who are in need on the island, with funds discreetly issued to those who are most disadvantaged. 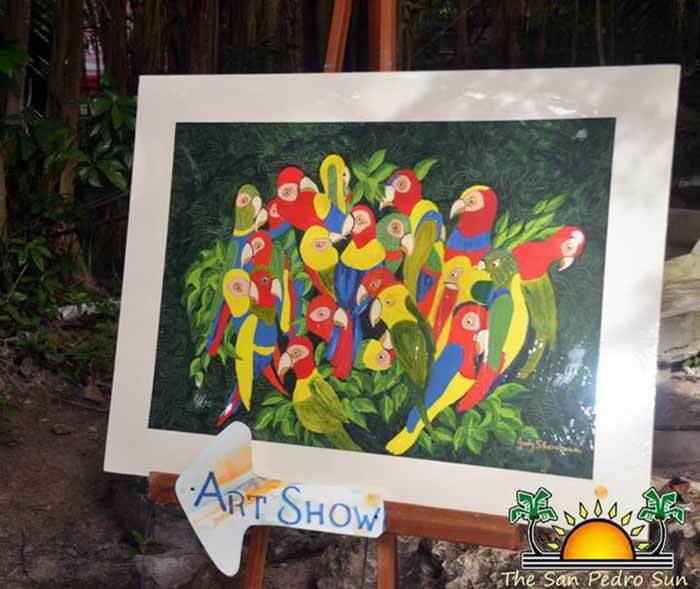 The weekend show was a fantastic opportunity for residents and visitors alike to purchase lovely artwork while supporting a community program and The San Pedro Sun applauds these charitable artisans.